Keep your heating system in the best shape with Nashville's choice for heating services. Your home or office needs high quality—and highly reliable—heat. Don’t wait until you feel the chill. Get in touch for a comprehensive maintenance check, repair or system upgrade now and ensure your space stays warm and comfortable, even when the temperature drops. Consistent, quality heating starts with having the right system in place.  Our expert team has been installing heaters in the greater Nashville area for decades, and we know the right systems, the right services and the right approach to match any home or commercial space. If you’re ready for a new heater—or if you’re making the same repairs year after year—contact us to schedule a no-obligation assessment. We’ll review your space, make recommendations and determine next steps to fit your timeline and your budget—it’s that simple. High-quality heaters and heating systems can go the distance—and that’s a good thing. That said, most will need a few repairs from time to time to ensure they’re functioning at their peak—and to ensure you get maximum life out of your heating investment. If you’re hearing banging sounds, smell burning or are noticing sky-high heating bills get in touch. It’s likely time for a maintenance check and, likely, a quick repair or two. By staying ahead of heating repairs before they become major issues, you’ll save yourself and your family from the hassles, headaches and costs that come with full-scale replacements. That’s always a plus. Chances are, a few rooms in your home are the busiest while others can go unused for days at a time. Or, maybe, once everyone goes to bed, entire floors are empty until the morning. The big question: why, then, are you heating those unused rooms? With home zoning, you can slash your heating bill by up to 30%. Once installed, a home zoning system enables you and your family to heat different rooms, floors or sections of your home as needed. Not only will this eliminate common issues like overheated second floors or too-cold basements, but it will allow you to lower heating to rooms that aren’t in use, whether it’s for a few hours, a few days or, even, more. It’s a simple solution that keeps everyone warm and comfortable—and the easiest way to reduce wasted heating and bring down your heating bill. Contact us to learn more and schedule your free assessment. Ductless HVAC systems—also known as “mini-split systems”—are a popular trend in home heating. These systems provide consistent climate control through a sleek, wall-mounted unit and attached outside compressor. Ideal for home additions or spaces where baseboard heating makes sense, ductless units are easy to install and are much less visible and audible than traditional units. Better still, these systems are energy efficient—by removing the ducts in common systems, you can save up to 25% of the energy lost to that ductwork. Choose an Energy Star model and you could save even more, plus qualify for a federal tax credit and/or local incentives. Contact us to learn more. Spot potential problems before they escalate with ongoing preventative maintenance from American Heating & Cooling. Our pro team is trained to assess any heating system, looking for wear and tear, emerging issues and repair or replacement needs. And when they spot something, technicians can take immediate, decisive action to curb the problem before it starts, saving you hundreds or even thousands in future repair and replacement costs. Remember, your heater should be serviced annually. If you haven’t had a maintenance check in a year or more—or you can’t remember the last time you had your heating system inspected—get in touch. We’ll dispatch an expert to inspect your heater and handle any preventative maintenance needs that arise. Got questions? We’ve got answers. Get in touch with American Heating & Cooling now to learn more about our comprehensive heating services and to schedule your installation, repairs or preventative maintenance.